Non-GMO Canola Oil is a common ingredient in food manufacturing, especially now as non-GMO products are becoming more and more popular. 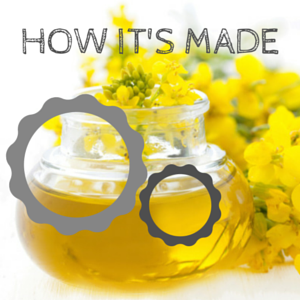 How is non-GMO canola oil made? Good question. Canola oil comes from the seeds of the canola plant. But it’s got to be more complex that just squeezing it out, right? Yes, the process is a little bit less intuitive than how, say, olive oil is made, so we’ll go through all the details. The term “non-GMO” describes a feature of the seeds, and means that the plant and seeds itself were grown without the interference of genetic modification. The term “expeller pressed” refers to the way that the oil is produced. It means that it is physically squeezed out of the seeds of the canola plant, rather than expelled using a solvent like hexane (which is the standard in the canola oil industry right now). Non-GMO canola plants are grown and harvested by farmers. Each flower has small black seeds in the center of it. These canola seeds are removed and transported to the canola mill in a large truck. Before the truck arrives, the proteins in the seeds are tested to ensure that there is no trace of GMOs. In the meantime, the Non-GMO Project Verified™ mill is cleaned and prepared for non-GMO canola production. Throughout the entire process, these seeds are produced, harvested and transported separately from traditional canola seeds (which use GMOs) to avoid cross contamination. Non-GMO Canola Oil can be produced in a few different ways depending on how the mill works internally. The most important thing is that the oil is expeller pressed using a physical press that squeezes the oil out of the seed. This expeller press uses a lot of pressure, and the result can be friction and heat, so it is important to note that this oil is not typically cold pressed unless otherwise described as so (which would really be a different process). After the oil is squeezed from the seed, it goes through a refining, bleaching and deodorizing process, which you can learn more about here. Once the Non-GMO Canola Oil is produced, it is shipped in tankers from the mill to your suppliers facility. This oil is stored and packaged into smaller containers like totes, drums and food service packaging. It is also commonly used in non-GMO olive oil blends. 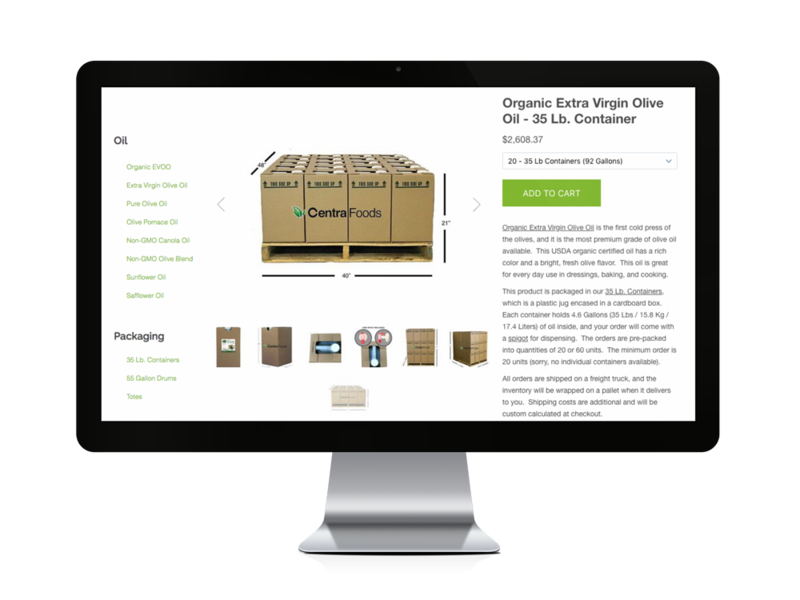 From there, the oil is shipped by the pallet or truckload to your facility. Voila!